During the Lenten season we are called to intensify our life of prayer. I would like to share with you the prayer of Saint Ephrem the Syrian which has been part of my Lenten devotion for 36 years. 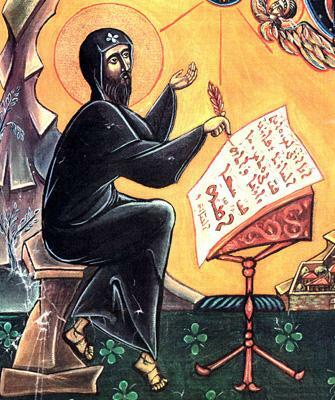 St Ephrem was proclaimed a Doctor of the Church by Pope Benedict the 15th and his feast day is June 9. This prayer of Saint Ephrem is a vital part of the Eastern Catholic and Orthodox liturgies. Listen to this evocative and plaintive chant from the soul of a monk who wants to return to his homeland from which he has been exiled due to war and violence. This entry was posted in Christianity, Prayer and tagged Lent, prayer, Saint Ephrem the Syrian on February 14, 2016 by frjfkauffmann.